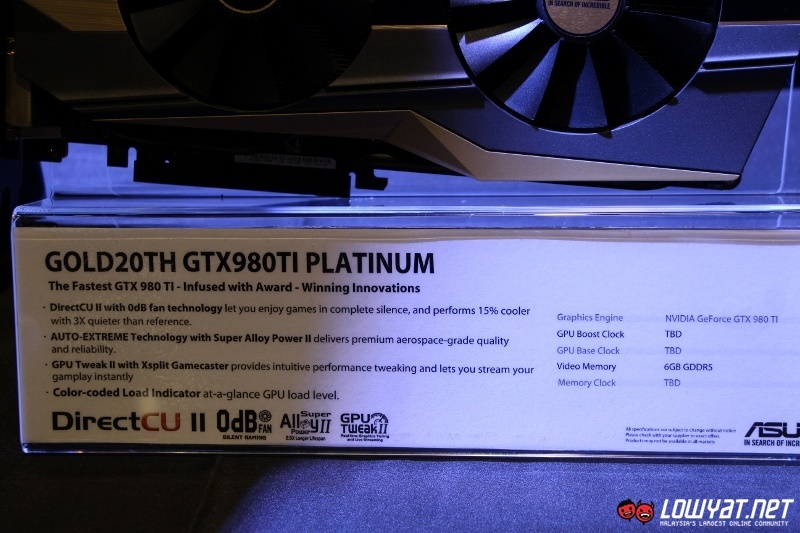 For those who followed our Facebook, Instagram or Twitter, you might be aware that we were in Bangkok, Thailand yesterday for a regional-level technical workshop with ASUS. 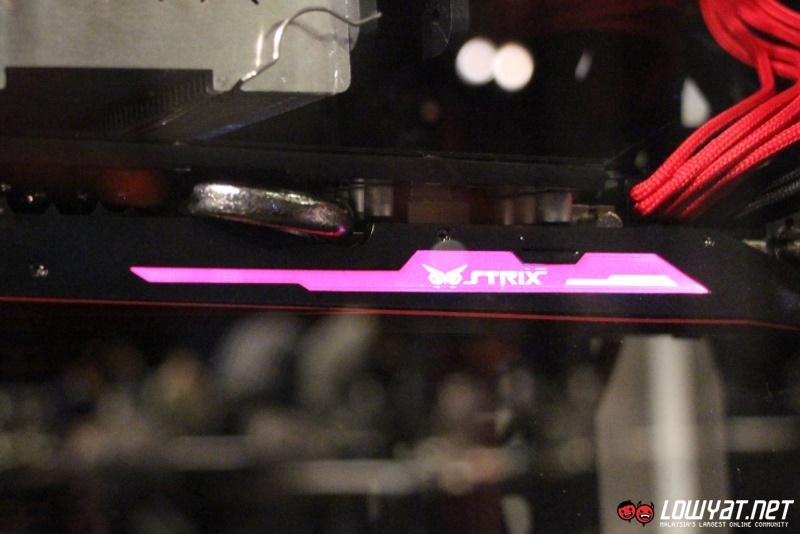 Over there, the company has discussed several topics including the brand new STRIX GTX 980 Ti graphics card that was just released in Malaysia. Presented by Ken Liu, the company’s Chief Engineer for graphics card, he started the presentation with a rather interesting slide: the release timeline for its three future versions of GTX 980 Ti cards which include the ROG Poseidon, ROG Matrix, and 20th Anniversary Gold Edition. 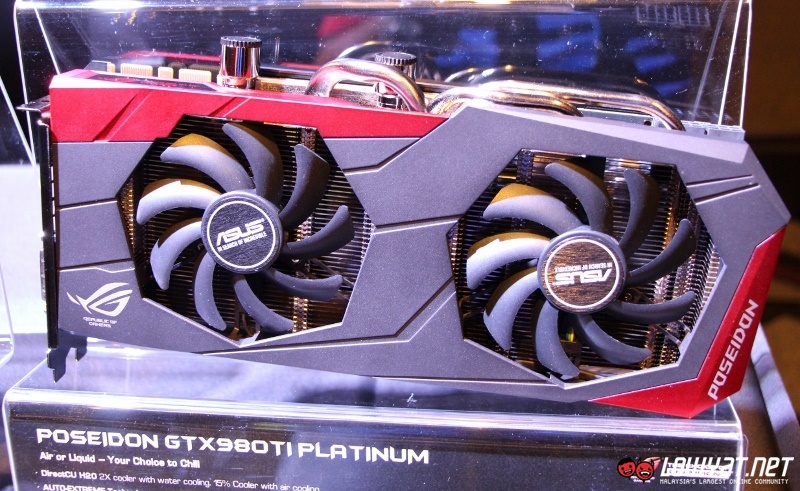 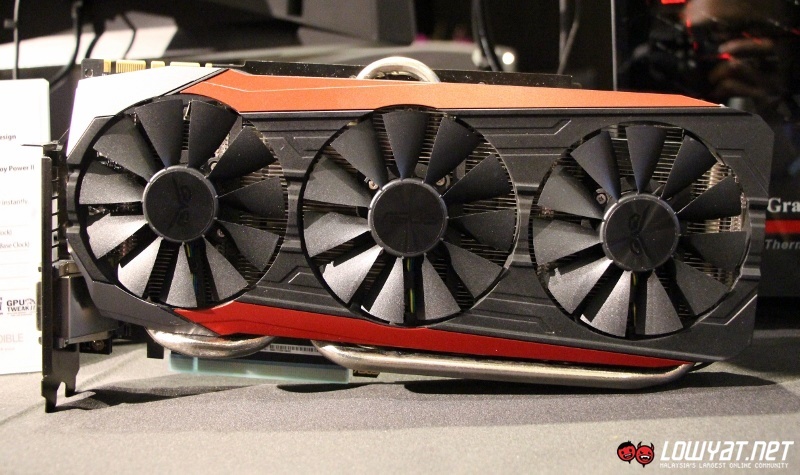 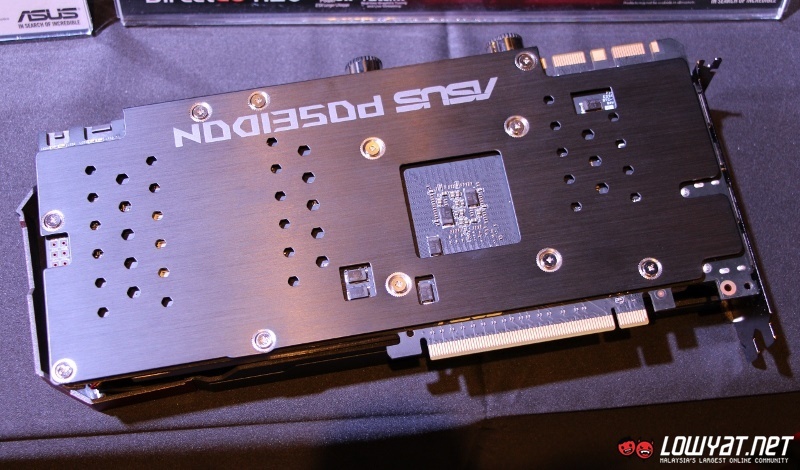 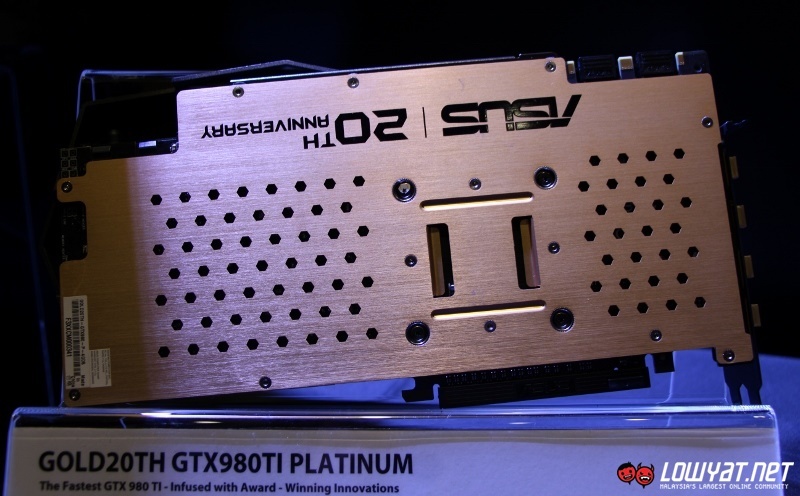 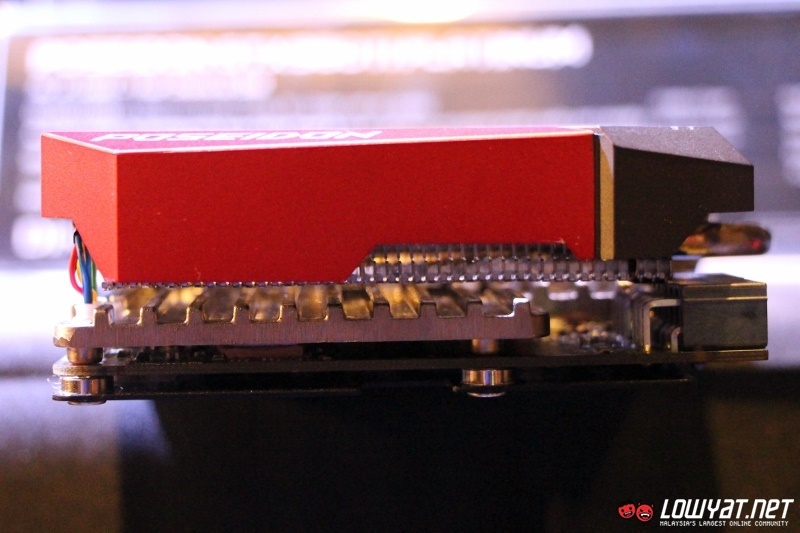 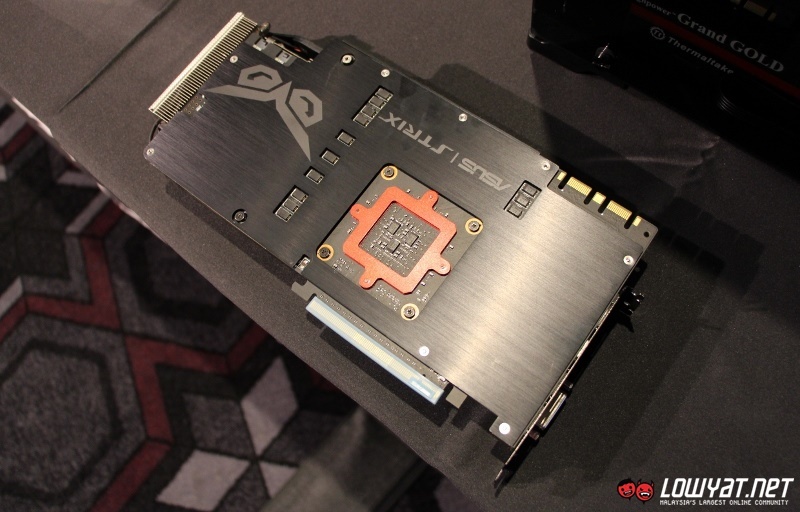 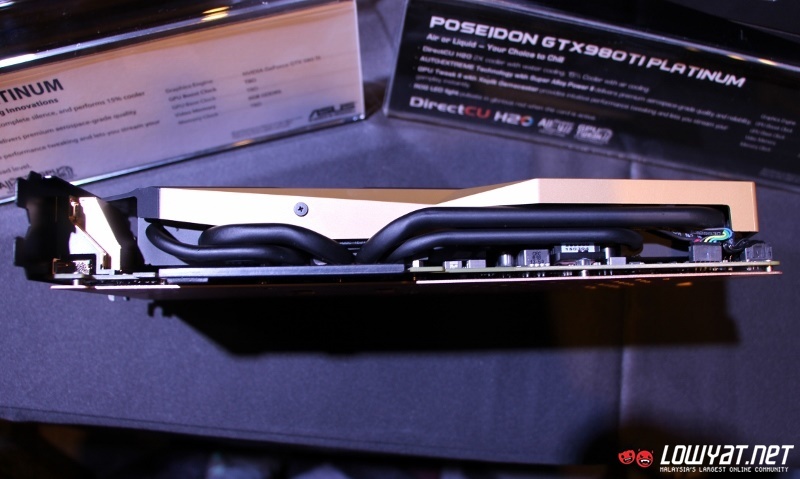 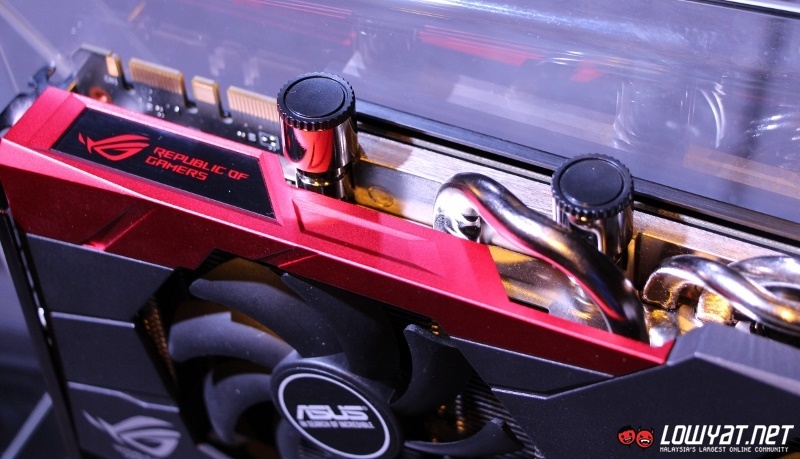 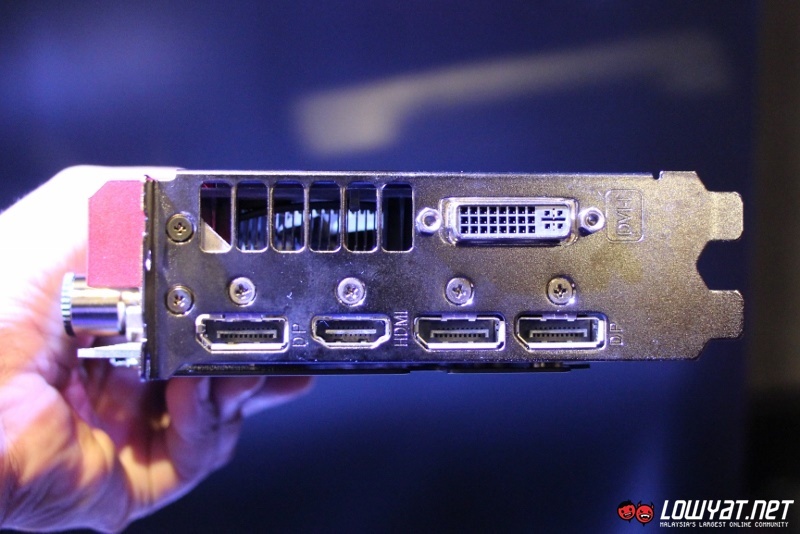 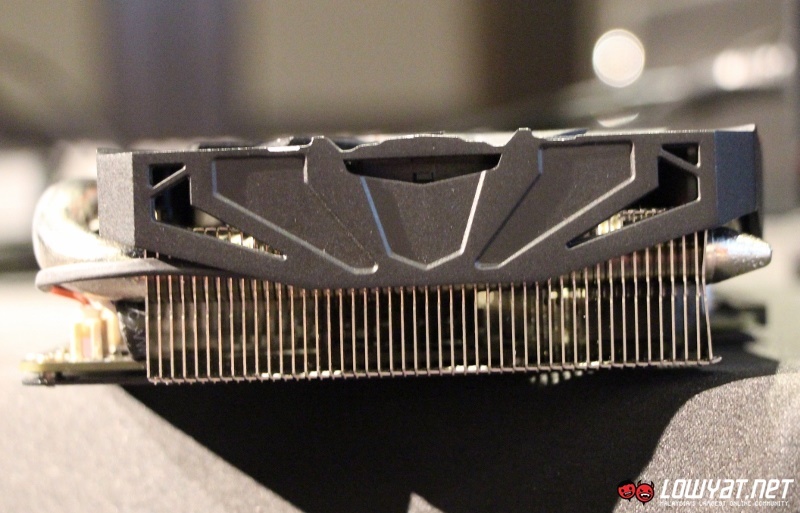 Truth to be told, it has been known for quite some time that ASUS is indeed working on these cards as ROG Poseidon GTX 980 Ti was announced at Computex 2015 while ROG Matrix and 20th Anniversary Gold Edition versions of GTX 980 Ti were shown at a press event in London earlier this month. 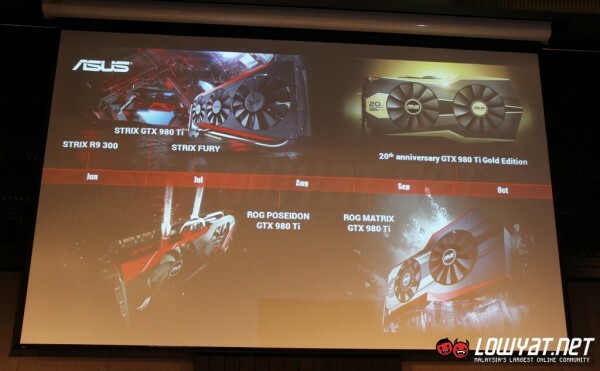 Based on Ken’s slide, the ROG Poseidon GTX 980 Ti will be released in August which will then be followed by ROG Matrix version of the graphics card in September and 20th Anniversary Gold Edition card in October. 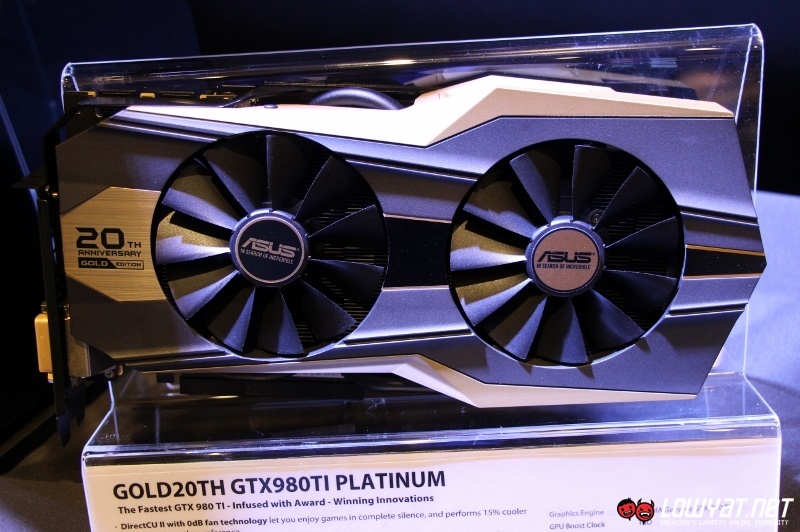 By then, ASUS will have five variants of GTX 980 Ti for customers to choose from which is inclusive of the reference design and STRIX variant. 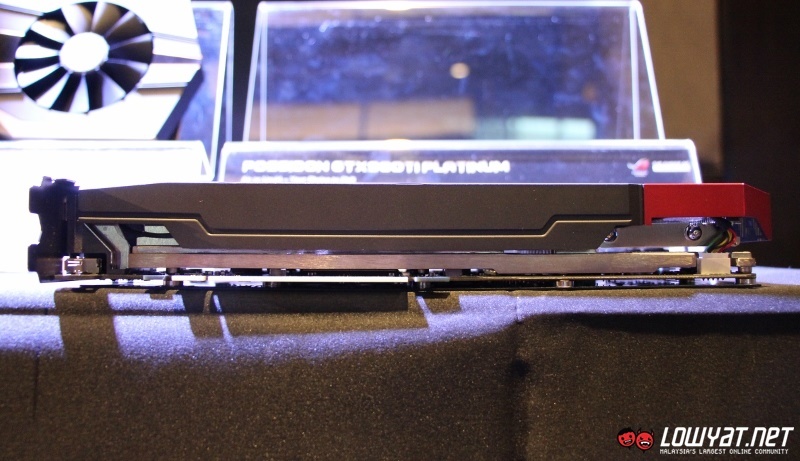 At the workshop in Bangkok, only the ROG Poseidon card made actual appearance. 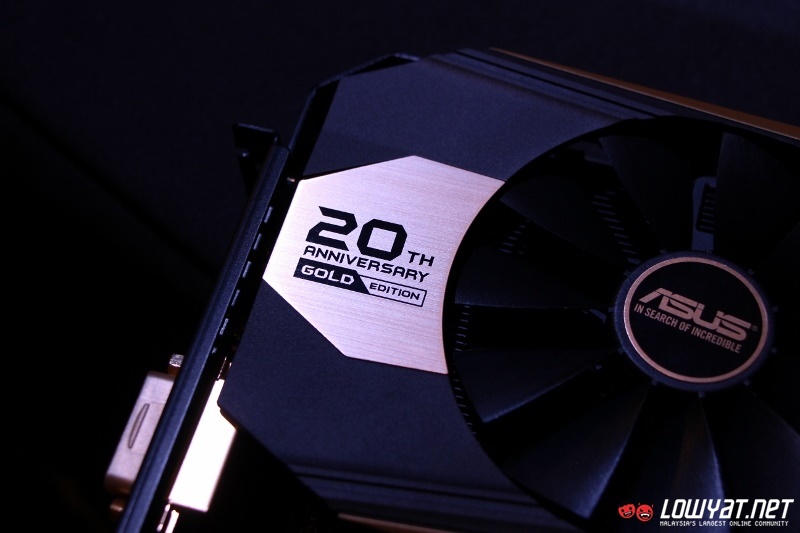 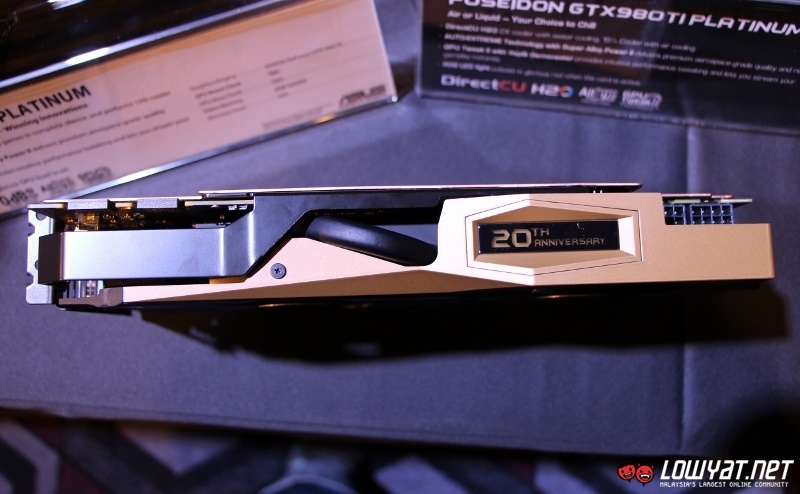 Basic information of 20th Anniversary Gold Edition was shown there as well but the card on display was actually a GTX 980 version of the card which was released earlier this year. 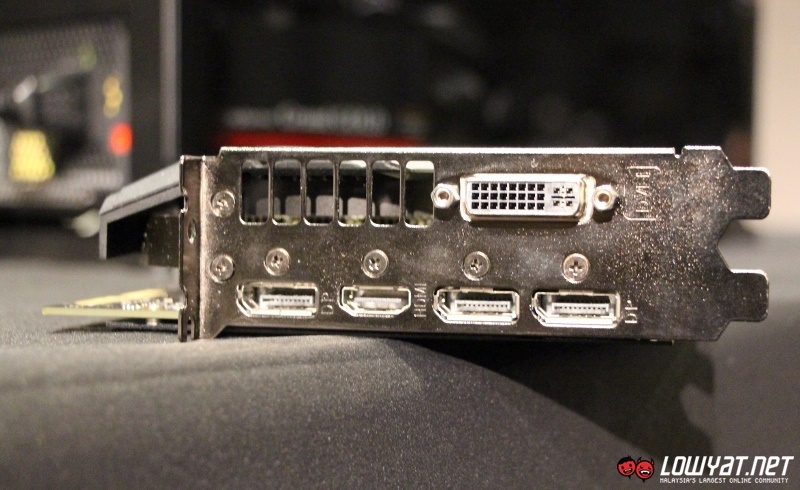 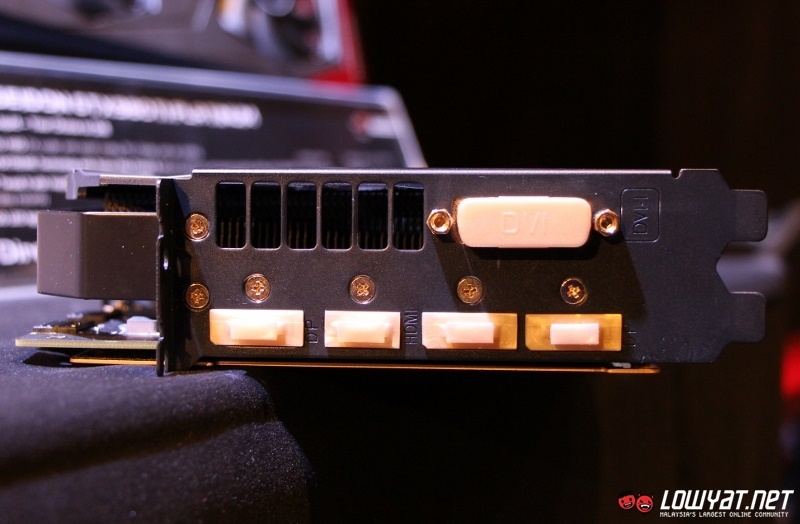 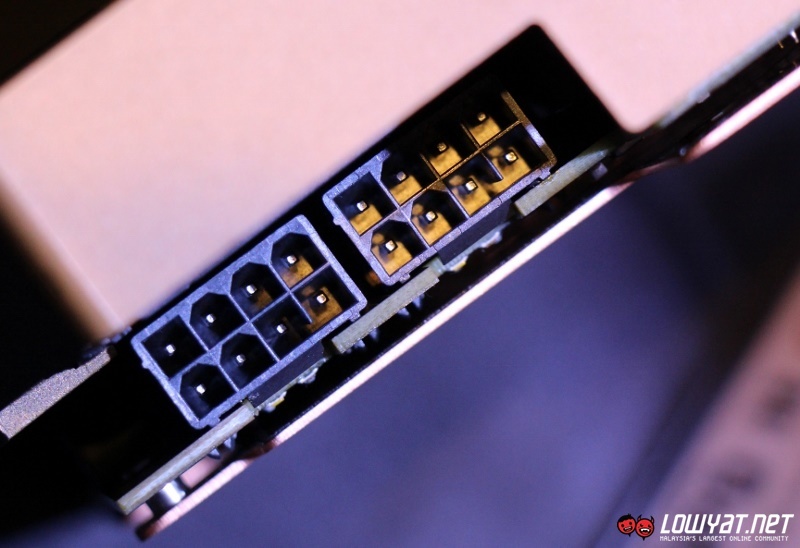 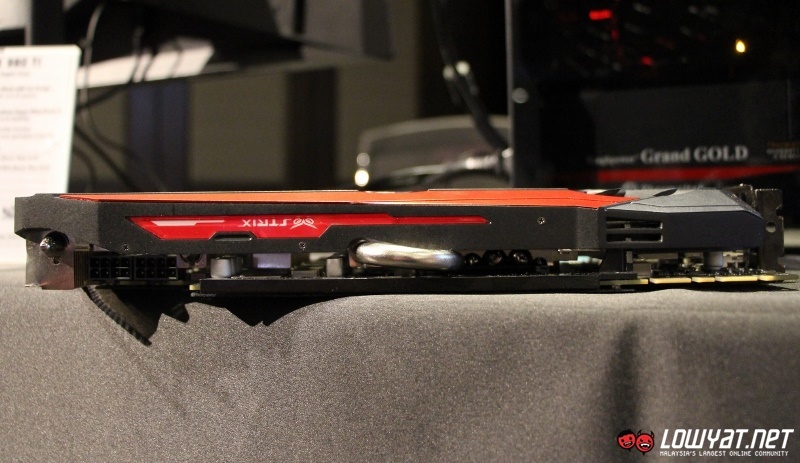 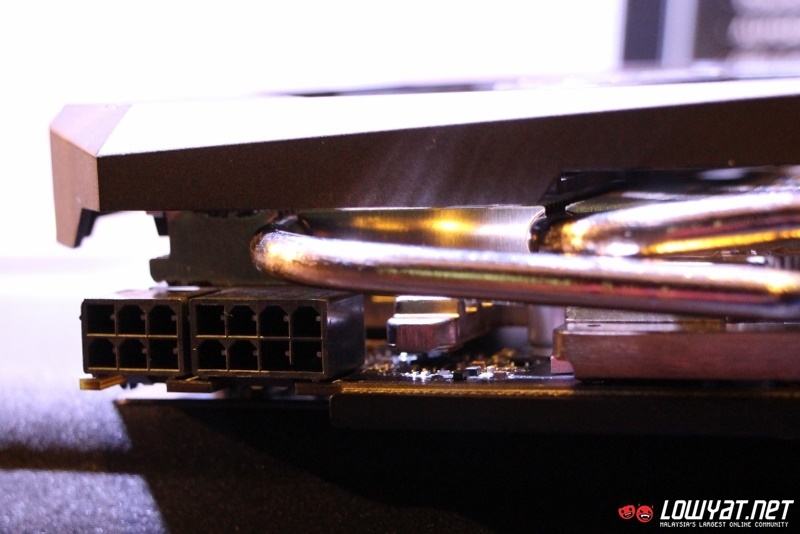 No information regarding ROG Matrix GTX 980 Ti was made known at the workshop although several ROG Matrix GTX 980 were used as part of the workshop. 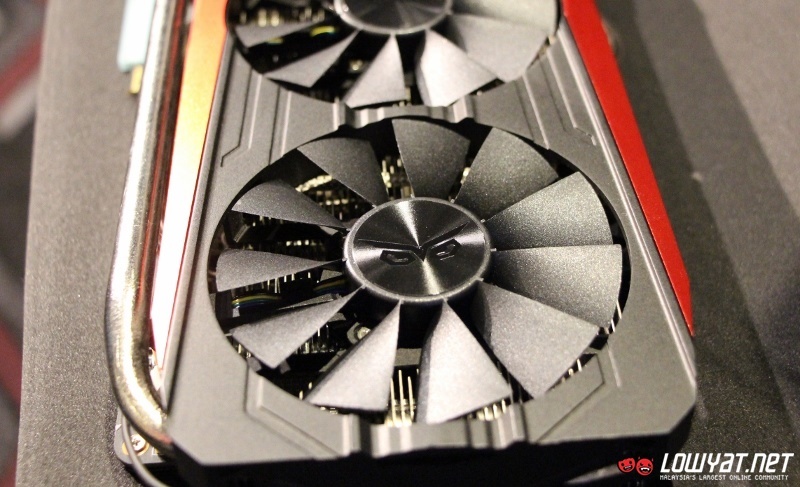 Based on the images used on the slides, we are under the impressions that the ROG Matrix and 20th Anniversary Gold Edition versions of GTX 980 Ti will at least has the same physical appearance as their GTX 980 siblings. 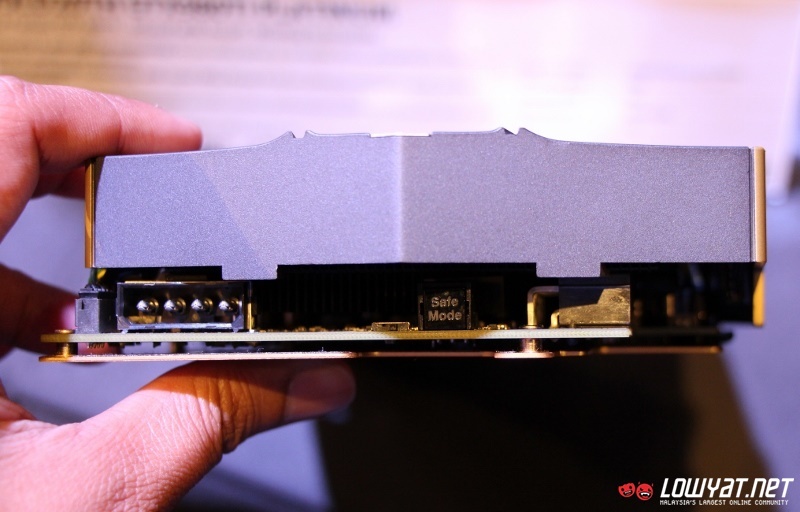 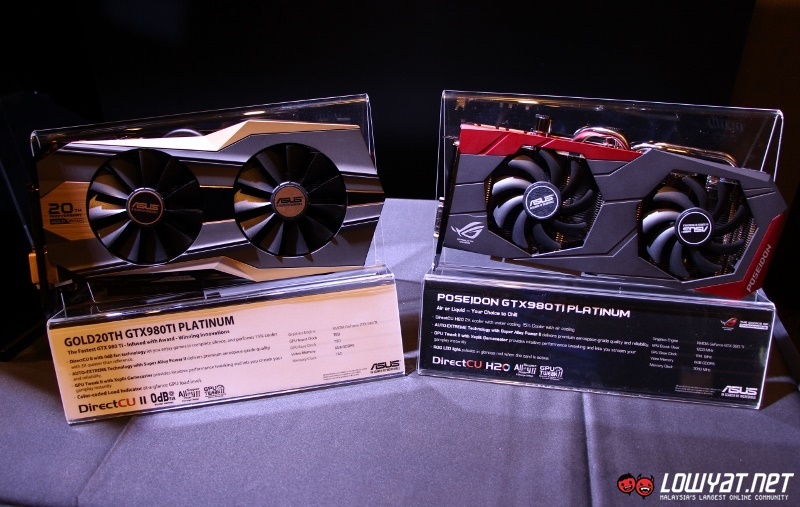 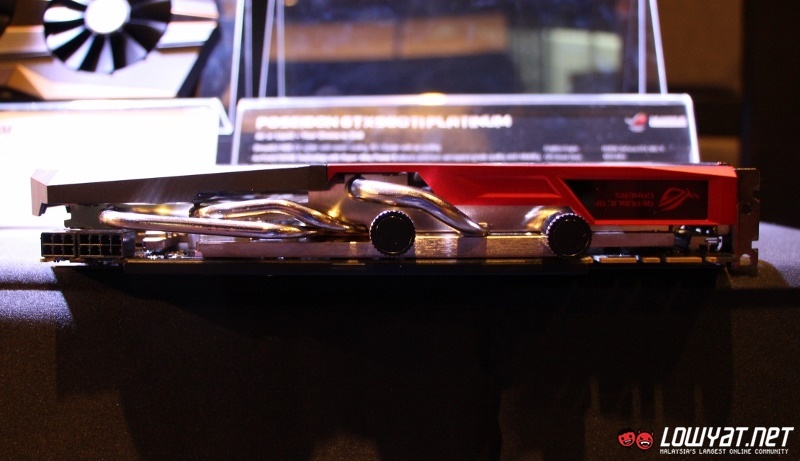 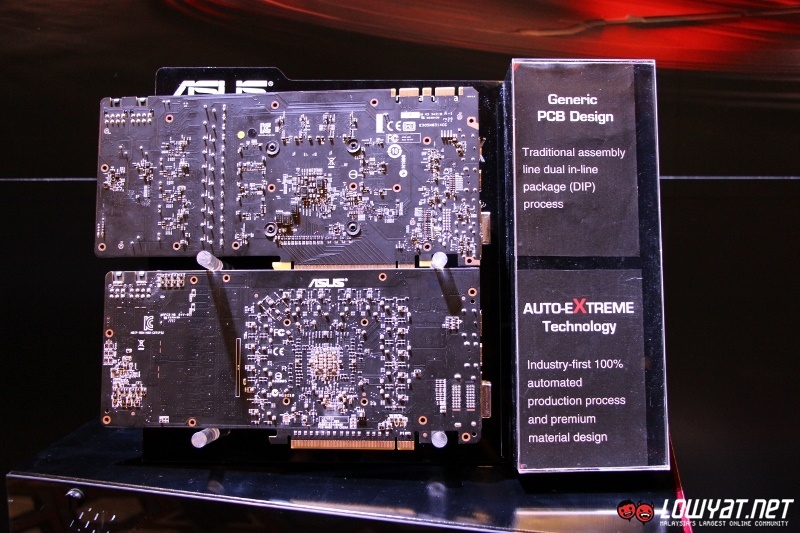 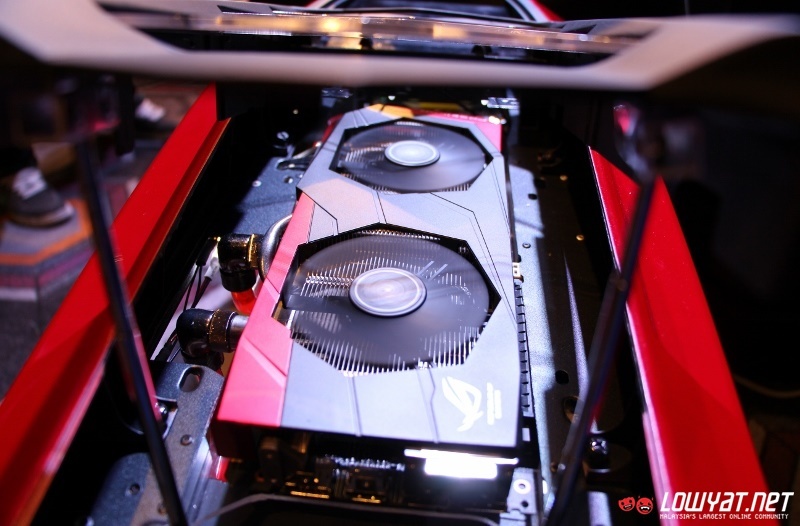 Well, guess we will only know the final details about them once these cards are officially released into the market but for the meantime, have a closer look at the graphics cards that ASUS has showcased at their regional technical workshop in Bangkok below. 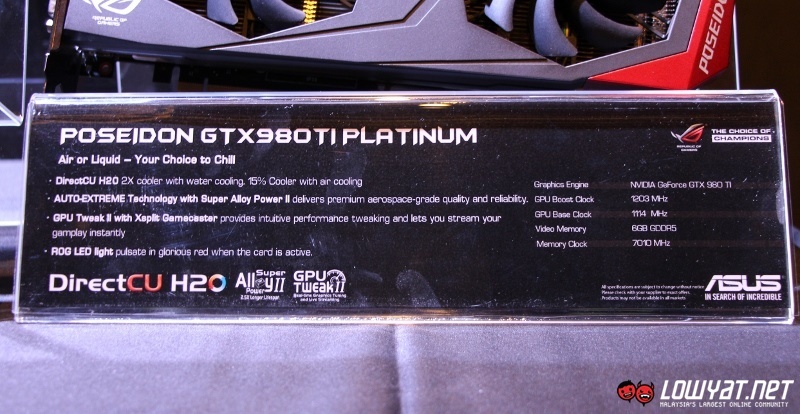 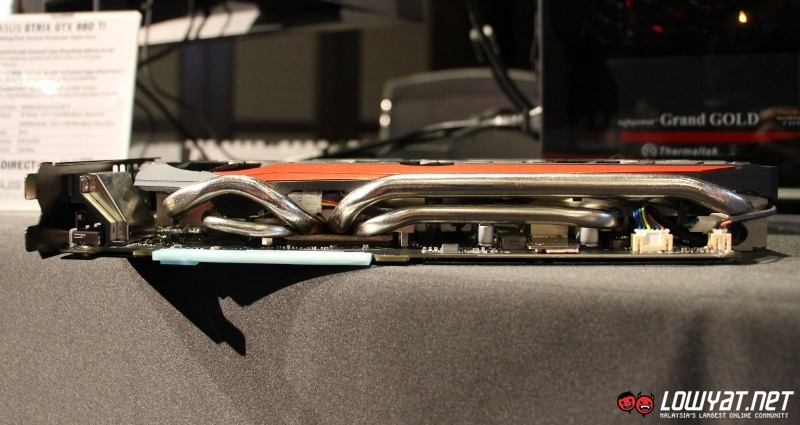 *the card on display is a GTX 980 though. 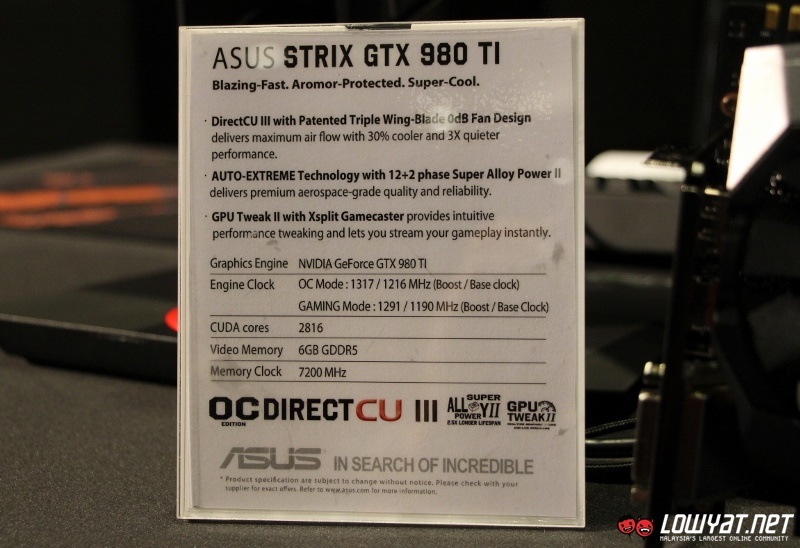 **the ASUS STRIX GTX 980 Ti is readily available in Malaysia for RM 3,339.